The Grand Canyon region is too precious to mine, and the need for us to protect it has never been higher. Donate today and protect the Grand Canyon's natural, cultural, and scenic values from uranium mining and proposed mega-developments — among other chronic threats like noise pollution and coal-plant emissions. Help tackle these issues head-on to preserve this incredible landscape for those who are yet to come. 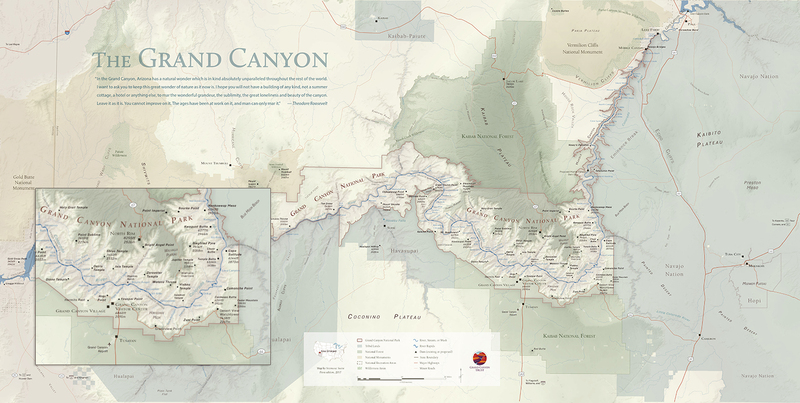 Become a member or renew your membership at the $500 level or above and receive this beautiful 36" by 18" limited edition Grand Canyon National Park map, shipped rolled and ready to frame.